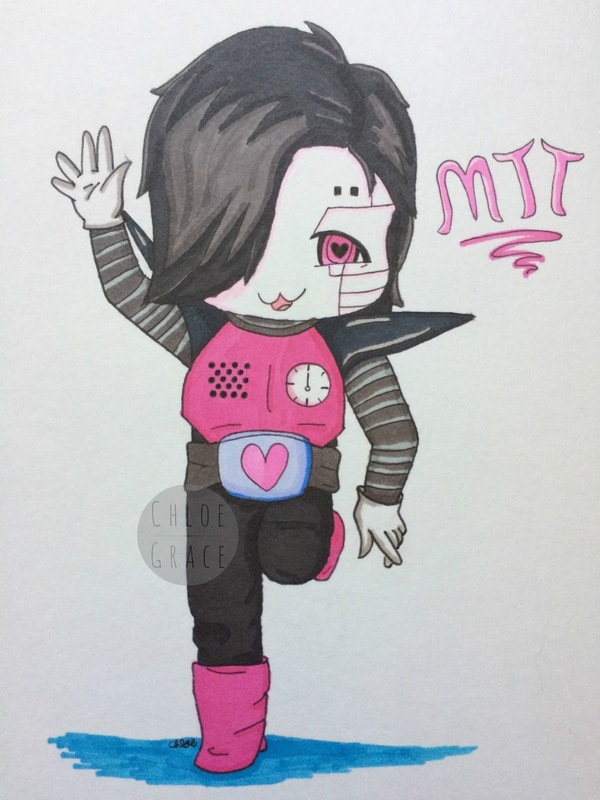 Lostfairy, thanks so much for being okay with all the persistent questions about how you wanted Mettaton to be drawn! For all you who don't know, Lost had originally asked for a different art request than this one; but since I hadn't started drawing it yet, she got to change it and instead asked me to draw Mettaton. I had lots of fun coming up with how to draw his hair. And coloring it was a blast! XD I liked adding the lighter parts to it, which is something I don't do that often. I used a very light pink when I shaded his face. I think the rest of the pink in his outfit fits nicely together with the shading. The pose is not something I made up by myself. Some else had drawn a chibi base and posted it online, and so I looked at that when I was drawing. It was a different angle in the drawing someone else did, but Lost wanted Mettaton to be drawn from a front view perspective. Do you have a favorite video game fandom? How do you draw hands..
Art Request Number Three Is Done!